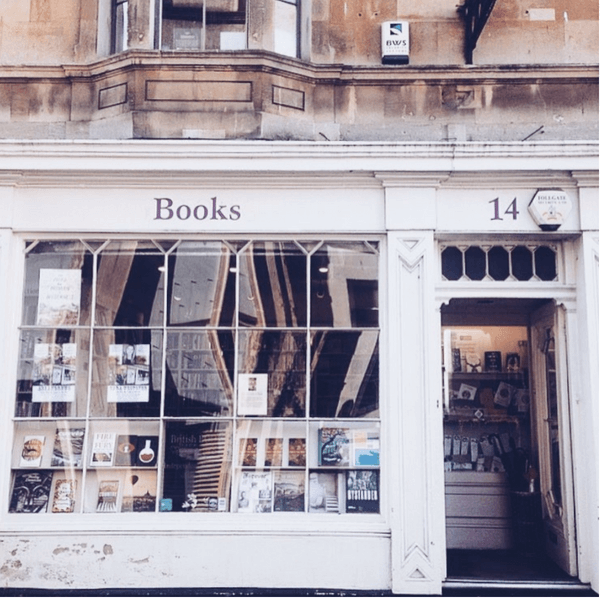 Tucked away on one of Bath’s side-streets, Mr B’s Emporium of Reading Delights is a hidden gem in the historic city of Bath. Beautifully painted the same honey-shade as so much of Bath’s architecture, this bookshop is nestled away on a quiet, shady street, only a stone’s throw away from the famous Milsom Street, and less than a five-minute walk from fellow indie bookshop, Toppings & Company. It’s a haven from the bustling tourists and day-trippers thronging around the Abbey and the Roman Baths; here, you can relax, unhassled, uninterrupted, and browse for as long as you like. The super-power of this bookshop is how much it opens up when you get inside. Just like the city itself, Mr B’s is begging to be explored. Full of twists and turns, stairs to climb and doorposts to peer round, the bookshop’s labyrinth layout will eventually bring you to the heart of it all – the glorious upstairs room complete with fireplace, comfy seating and complimentary coffee. You’ll lose track of time up here in the company of glorious hardback books and personal staff recommendations. And that’s another thing, the recommendations here are simply expert. I last visited the shop at Christmas time, just days before the festivities kicked off. Looking for several books as presents, I enlisted the help of staff and before long had a great selection of books which I felt would be well-received as gifts. I’d had a few ideas of titles before I came in, but was extremely impressed with the vast knowledge of the staff and ended up leaving with entirely different books based on their passionate recommendations. And if you fancy doing your own browsing, Mr B’s have made the experience just the way we booklovers like it. It feels relaxed and friendly, and there’s space to linger without feeling like you’re in the way of other customers. The staff have created great entry points into their shelves, making use of personal recommendations and themed bookshelves. Table selections and quirky displays offer further places to begin your book search. 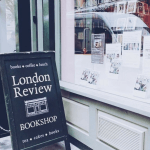 By day the perfect place for browsing, by night this bookshop hosts a wide range of events, from book clubs to author talks featuring both local talent and bestselling authors. 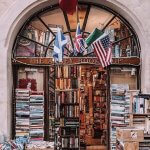 But the pièce de résistance, by far, is their Reading Spa, a one-on-one book recommendation service which truly does make the most of their bookseller expertise. For £80 (including a £55 book voucher), you’ll get an appointment with one of the booksellers, and after discussing your reading interests over tea and cake, you’ll be presented with a pile of books all chosen with your preferences in mind. If this isn’t every booklovers dream, I don’t know what is. So if you find yourself in Bath, whether for a weekend break, an action-packed day-trip or a more leisurely stay, make sure Mr B’s is on your itinerary. 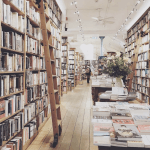 Filled with cosy corners and hidden nooks, an excellent book selection and superb recommendations, you’ll leave the bookshop with your purse a lot lighter, but your heart a whole lot happier. Opening times: 9am – 6pm, Monday – Friday, 9.30-6.30pm, Saturday; 11-5pm, Sunday. Words by Juliet Trickey from Juliet’s Library. Follow her beautiful Bookstagram account here.